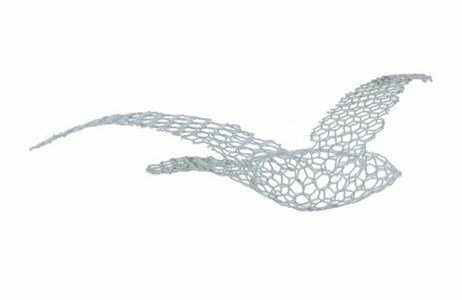 A bird shaped, metal sculpture, will guide a even child's imagination to far away lands and, together,, they will tell stories! It encourages our creativity and invites us to dream for a while. The piece is composed of a metal grill, painted with epoxi resin, making every room come to life and, with one of these Birds, tell its own story. The hook for the ceiling suspension is included.